Editor’s Note: We have more questions than usual this week. It’s Masters Week for sure but also hard to ignore Corey Conners’ win at the Valero Texas Open, the Augusta National Women’s Open and a unique event held in the Middle East. Thanks for reading. Augusta National Golf Club played host last Saturday to the final round of the inaugural Augusta National Women’s Amateur. In addition to the Masters and the Drive, Chip & Putt competition, Augusta now has a stake in men’s professional, women’s amateur and kid’s competitions. What was your take on the ANWA and how long before Augusta adds a women’s professional event? Jim Deeks, Fairways Magazine (@jimdeeks): I thought the ANWA was one of the most exciting and enjoyable golf events I’ve ever seen… and that’s saying a lot. The course looked great, the tournament was predictably run impeccably well, the quality of play was absolutely magnificent, and best of all, Fassi and Kupcho showed a level of friendship and sportsmanship that was inspirational. Personally, I’d prefer NOT to see a women’s pro event at Augusta. Just keep the ANWA, which has already become the most anticipated women’s event in golf! Craig Loughry, Golf Ontario (@craigloughry): Uh, this question is quite a leap. The only way Augusta National gets into Woman`s Professional Golf is with the involvement of a Major. And that`s not happening anytime soon in my opinion. The ANWA was fantastic. Those overly critical need to get a grip (I read a bunch of BS about why the event was a failure on many levels). I love that it put a spotlight on woman`s golf. The golf was great too, and yes it wasn`t without its challenges (date opposite a Major, making some top Amateurs make a difficult decision which to participate in), but they`ll smooth those out and grow the event in time. I don`t know anything that has launched at its best, you need experience and time to refine the product. Michael Schurman, Master Professional / Life Member, PGA of Canada: Wouldn’t you love to sit in on a future planning meeting at Augusta National? Imagine having the resources to decide to build the new driving range? They replaced the old parking lot with one of the finest ranges in the world and bought the subdivision next door, demolished the homes and built a new parking lot. They decided the course needed length, so they approached the golf club next door and bought a few acres from them for about $25M. They created the Drive, Chip and Putt competition. They created the Ladies Amateur competition. And, now you ask about an LPGA event? I say lay-off the pressure tactic and let them decide if, when and how they want to do it. Dave Kaplan, Freelance Writer (@davykap): The ANWA was probably the most entertaining tournament I’ve watched this year. Not only was the showdown between Kupcho and Fassi super intense, but we also got an extra day of Augusta National on our television screens. I hope we see a women’s professional event there next year, although we likely will not because Augusta subscribes fervently to a less-is-more philosophy. TJ Rule, Golf Away Tours (@GolfAwayTJ): I think it’s awesome having a women’s event at the club and it was interesting to see how they played the course that we’ve watched the men play for so long. How would they handle long approaches over water on 13 and 15, how would they handle the chipping and putting on those diabolical greens? It was an impressive performance by most, particularly the winner Kupcho shooting 5 under while dealing with a migraine. Her approach shot on 13 from that hanging lie was clutch. I’m not sure how soon they host a women’s pro event, they don’t tend to change things quickly at ANGC but someday we’ll be watching these same girls compete in a pro event there, and it will be fun to watch, and get more patrons the opportunity to visit the property! 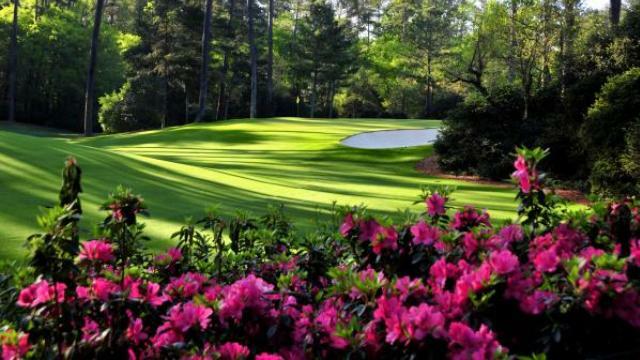 Hal Quinn, Freelance Writer, Vancouver: A pal who has played Augusta National half a dozen times, texted this week to say that pre-Condoleezza’s mock membership he asked a member if women are allowed to play the course? Sure, he replied, we just don’t tell them. The jackets bowed to social pressure on token women and black members, same too with the ANWA. It would take a tsunami of woke protest to get an LPGA Tour event there. Ain’t gonna happen, y’all. Peter Mumford, Fairways Magazine (@FairwaysMag): The ANWA was a home run and Fassi and Kupcho were magnificent, certainly for their play but even more for their sportsmanship. I can’t see the LPGA at Augusta unless it’s a major and that Tour already has more than enough majors. Another event might also dilute the significance of Augusta National and I’d never want to feel that I see too much of that place. Speaking of making golf more inclusive, last week the Ayla Golf Club in Aqaba, Jordan hosted the Jordan Mixed Open, where players from the men’s European Challenge Tour played straight up against seniors from the Staysure Tour and women from the Ladies European Tour, all competing for the same prize money. Could you envision this happening regularly among the top professional Tours or is it more of a once-a-year hit and giggle at the developmental level? Deeks: Good effort, nice idea. But no, I don’t see this happening at a higher level. There was the Wendy’s Three Tour Challenge during the old November “silly season”, and it was mildly entertaining. But nobody’s tried to resurrect it, to my knowledge, and that’s a good thing. Loughry: Heard about this, but unfortunately was totally overshadowed by all the other excitement and events happening: Conners winning at Valero, LPGA Major: ANA Inspiration and ANWA plus Drive Chip and Putt. EEK, not a good week to try something this unique if you wanted some exposure about it. Do I see this being mainstream? Maybe in time for the odd event. It`s been dabbled with over the years: 3 Tour Challenge, some mixed team events, etc. It is unique and appealing for some, and it is different. Europe seems more ready for something like this than anywhere. Good on them for leading the charge. Schurman: I’ve written about this before. Take note of the small crowds at the PGA and LPGA TOUR events. Take note the PGA TOUR feels the need to align themselves with betting organizations. Something is changing! People are losing interest in attending these events. Perhaps the reason is as simple as the onerous, physical effort required to drive to the site, park 6 Km away, walk 1Km to the gate, walk 5Km around the course, 1Km to the bus, 6 km to their car and then drive home through traffic. Not only that, it is expensive. My wife and I went to the British Open at Troon. I was a non-paying guest through my PGA of Canada membership. Her ticket (converted) was $85.00. One of the main attractions was a huge spectator area surrounded by F&B, merchandise tents, corporate displays etc. all seated facing a monster video screen. Approximately 3000 people sat and watched the tournament and never went onto the course. I love the idea of mixed gender fields. I’d love to see major cities assemble teams of men and women and play a weekly schedule in a Ryder Cup format followed by a play-off. With very little experimenting it could be determined some form of handicapping system to produce the same score by men and women and let them all play against each other. Before you ask, yes it would replace the PGA and LPGA TOURS. Kaplan: A mixed gender PGA/LPGA tournament would be so great for the game of golf. It would promote the women’s game, add a new dynamic to the stale stroke-play format, and answer the age-old question of how the sport’s top women would fare in tournament play against the sport’s top men. There are so many inconsequential events during the year, including the 3M Open, the Rocket Mortgage Classic, and the Career Builder Challenge (just to name a few). Let’s swap one of those out for a mixed-gender event. Rule: Golf is one of the only sports where you can have men, women and seniors play against each other and make it a fair fight. So, there’s no reason not to have this kind of event occasionally. I’m not sure it will draw the viewers to make it a regular happening, but once in a while it would be fun to see. Quinn: This is definitely a development level event staged in a land where golf is in pre-development. Can’t imagine a generation of Euro kids dreaming of one day playing in the Jordan Mixed Open. Mumford: Not interested. Don’t want to see it. It goes against nature and is probably illegal in most countries where you can’t turn right on a red. Each year, Augusta National reserves a number of spots in an already small field for past champions. Names like Mike Weir, Bernhard Langer, Fred Couples, Sandy Lyle, Ian Woosnam, Jose Maria Olazabal, and Larry Mize stand out because they literally come from a different era. For decades, the Masters invited ALL former champions to play, but when the list became too long, and their play became embarrassing (hello, Billy Casper and Doug Ford), they began “discouraging” the old boys from bringing their clubs. What do you think? Is it a tradition worth keeping, allowing past champs to come and take a spot that could be awarded to a current player? Should the old boys respectfully decline anyway? Or is it nice to have them play in the event? Deeks: By all means let them come to Augusta, play in the Wednesday Par-3, attend the Champions Dinner, pop in to Live at the Masters, and stroll the grounds in their jackets all weekend. But if they’re not playing regularly and creditably on the main Tour or Champions Tour, then honestly, they shouldn’t be wasting everyone’s time by playing in the Masters. They should know better than to accept. Loughry: Love this tradition of celebrating past Champions. I would tweak it though, I`d cap it to the last 10 years of past Champions (15 years max). But all past Champions will still be part of the week in another capacity. I like Mike Weir, Sandy Lyle, and Woosnam, do I want to watch them slash it around AN for 2 days? Not really. We don`t see them anyway except for an updated leaderboard that needs to flip quite a few pages before you get to them. There are crazy cool stories that come out of this policy from time to time though, like when Langer contended in 2016 just two back going into the final round. Sure, he shot 79 in the final round, ran out of gas, got tired, age caught up with him, you heard it all but there was a chance for an extremely amazing story (much like Watson at The Open played at Turnberry in 2009, losing in a playoff as a 59-year-old). It didn`t happen, hasn`t happened, and this is the basis of me using the 10-15-year cap, allowing a few more top ranked players into the field. Kaplan: I think the tradition is worth keeping. I’ve got a couple friends that would stop watching the Masters outright if Mike Weir didn’t play (despite his embarrassing results over the last decade) and I have to admit that I am partial to tracking and pulling for whichever past champions are in the field every year. Rule: First off, I’m glad some of the older guys were encouraged not to show up. It does take something away from the tournament when someone can’t break 90! And I think that’s the only step they need to take. Sure, some of those names won’t compete on a regular basis, but it’s impressive how well guys like Langer, Couples and even Larry Mize have competed in the last decade. Perhaps it’s time for Weirsy to sneak in a good performance and play the weekend! Quinn: The lifetime thing really was an embarrassment, but kinda fun in the black and white TV era when coverage started on the 16th hole. Guys well past it don’t seem to have any self-awareness. A simple fix would be a five-year cut off, starting when the player is no longer playing on the Tour or top three on The Champions Tour (hey Bernhard, come on down). It’s the weakest field of the Majors, and some think that field should disqualify it as a Major. Welcome all the old winners to the champions dinner and let them sit on the veranda on the weekend. Mumford: I think it’s a great tradition but there needs to be a reasonable age cap. I’d suggest 60 but Bernhard Langer will prove me wrong on that, so better to suggest that past champions decline the invitation when they stop contending on the Champions Tour. Or hold a Monday event for past champions so everybody can see them but at a yardage where nobody gets embarrassed. The Masters has a wonderful tradition of “Honourary Starters” who kick off the tournament with a ceremonial tee shot on Thursday morning. Until the death of Arnold Palmer, it was the Big 3 that performed the ceremony but now will just be Jack Nicklaus and Gary Player. Is there another player that could be added to that pairing or should they just leave the two of them to do it as long as possible? Deeks: If they’re going to ask another player to join Jack and Gary, then I think it should be a past Champion from at least 50 years ago, who’s still standing, and not wearing a drool-plate. The only two from pre-1969 still alive are Bob Goalby (age 90) and Jackie Burke (96), and I’m not sure about the standing-thing in either case. So… keep it with Jack and Gary until Charles Coody becomes eligible in 2021. Loughry: The BIG 3 were named for the right reason, you can`t compare any player after (who is not still competing, I`m talking one gent: Tiger Woods, Phil meh, well a distant 2nd) that should join that group for the honorary start. Keeping it to Gary and Jack is the only way to go, until they decline, or Augusta wants to try something different. Sir Nick was a thought, as was Tom Watson, but instead of adding them to Jack and Gary, I think that`s part of the new direction Augusta could take. Schurman: As much as nobody ever did more for golf than Arnie, his memory has been acknowledged by the ’empty’ spot for the past couple of years. However, no person is bigger than the game. Tom Watson. Kaplan: Yes, let’s get Lee Trevino in there. The man is a national treasure! Rule: First off, you can’t replace the King! So, I don’t mind it just being Jack and Gary for a few more years. After that, Tom Watson is the obvious pick given his rivalry with Jack and his success at Augusta. Quinn: It worked with the so-called Big Three, although it should have been the Big Four with Billy Casper joining them. Some traditions have a best before date. This is one of them. They’ll have to drag Player off the tee, but don’t be surprised if Jack steps aside soon. Mumford: Palmer’s memory is kept alive by his absence. Someday Crenshaw, Watson, Olazabal and Langer can perform the ceremonial duties (not Faldo please) but until Jack and Gary can’t or won’t, it’s better with just the two of them. After one of the most incredible final winning rounds in Tour history — 10 birdies, 4 pars, 4 straight bogeys — and as a Monday qualifier at that, can Corey Connors calm down enough to make the cut at The Masters? Deeks: I hate to say it, but my bet is Corey will either miss the cut… or win the damn thing outright! Schurman: Imagine if Corey Connors didn’t wake up until next Monday? Kaplan: That relaxed swing doesn’t need any calming down. If Conners is still in the zone come Thursday, I expect his momentum to carry him all the way to the weekend. Rule: What a performance by CC last weekend, rebounding from 4 straight bogeys to post a 6-under back nine. Not many would have predicted that at the turn on Sunday! With such an emotional Sunday and likely crazy Monday and Tuesday getting to Augusta and dealing with all the media attention, you could give him a pass if he doesn’t perform well this week. But I think he’ll do just fine. It helps that he’s been to Augusta before and shot 69 the second round that year after a struggle on the first day. I like his chances of continuing the good play and making the cut. Quinn: Even when he yakked one into a greenside bunker at the Valero, Connors swing with his wedges had a beautiful Oosthuizen-like tempo. He should be so happy to be there, so relaxed now that his card is wrapped up, that he’ll freewheel swinging smoothly and enjoy a beer Friday night looking forward to the weekend. Mumford: Conners showed unbelievable control after making four straight bogeys. If he can find that same gear at Augusta, he can certainly make the cut. Winning might be a stretch but momentum is huge in professional golf and Conners has more than anyone heading to Augusta. You might be surprised to learn that no-one ranked in the World Top 10 (Dustin Johnson, Justin Rose, Rory McIlroy, Brooks Koepka, Justin Thomas, Bryson DeChambeau, Francesco Molinari, Rickie Fowler, Jon Rahm, Xander Schauffele) owns a Masters green jacket. Do you think that changes this weekend and who is your pick to win the Masters on Sunday? Deeks: I’m sticking with Rory as my pick, because he’s been playing really well, and he deserves to own the Career Slam. Also, the last three Masters winners have been less than deserving, in my view — Willett, Garcia, and the ogre Patrick Reed — so a fine chap like McIlroy would be ideal. Long shot… the same one I had for The Players, and he did quite well, then won the Match Play… Kevin Kisner. Loughry: A golf household name will win this weekend (no offence to the 2016 or 2011 Champions), that`s just what this tournament does so well. No longshot pick for me this week, they only come about a couple of times per century and I don`t suspect this is that year. Schurman: My picks are Rory, Tommy Fleetwood and Oosthuizen. Sentimentally, I’d love to see Langer make the cut. And Conners is my longshot. Kaplan: I do not think it changes because Jordan Spieth is going to win The Masters and he was ranked 33rd in the OWGR as of this morning. Patrick Cantlay is my dark horse for every major and will continue to be until he finally breaks out and wins one! Rule: I definitely think that changes this weekend. I would put money on DJ, Rose, Fowler or Rory winning this week, I would pick them against the field. My pick to win is DJ, I think he’s due, although my dream final pairing on Sunday is Rory/Tiger! As for a longshot, I like Marc Leishman. Quinn: Long shots very rarely have a chance, and it usually takes a few appearances before anyone can even contend on Sunday. This time it should be a Top Ten (Brandel Chamblee says history indicates a Top 16) and I think Rory finally does it. Mumford: I’ll take Rory to win but don’t expect to see much daylight between him and DJ, Rose and Fowler. Can’t believe I’m saying this, but I think Jordan Spieth could be in the mix too. Peter, just to follow-up on your comment about the mixed golf tournament in Jordan. Why not have a mixed event during the Ryder and or Presidents Cup. Would bring both groups together. Just a thought..